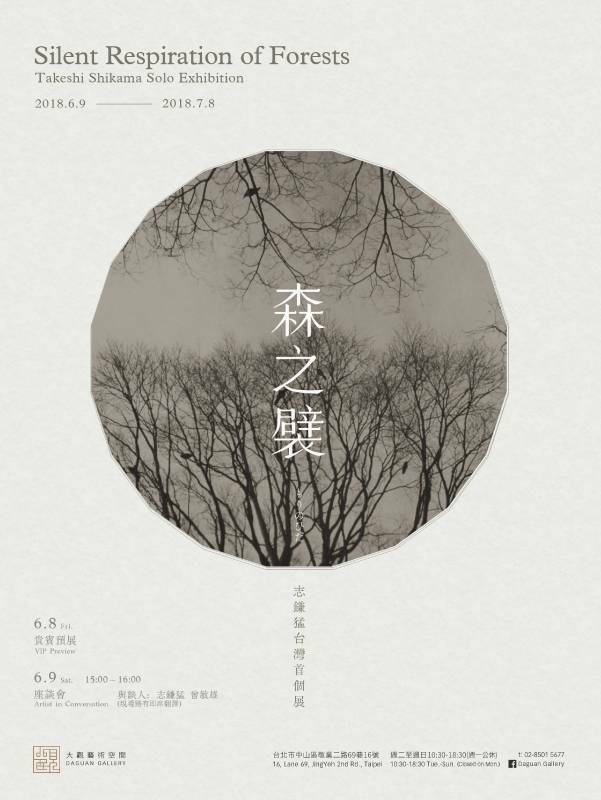 Daguan Gallery is honoured to announce renowned Japanese photographer Takeshi Shikama’s first solo exhibition in Taiwan – “Silent Respiration of Forests”. The series “Silent Respiration of Forests” published in 2007 was the first photographic work the artist exhibited, and the subject has become close to his heart. Takeshi Shikama has exhibited extensively, including Denmark, USA, Belgium, France, Italy and Spain. His works are in public collections such as the Museum of Photographic Arts in San Diego, Brandts Museum of Art and Visual Culture in Denmark and Santa Barbara Museum of Art. This exhibition in Daguan Gallery brings works from Takeshi Shikama’s most important collections, taken from the artist’s extensive travels among deep forests and landscapes around the world. We sincerely invite you to join us in this exhibition to explore nature as captured by Takeshi Shikama.